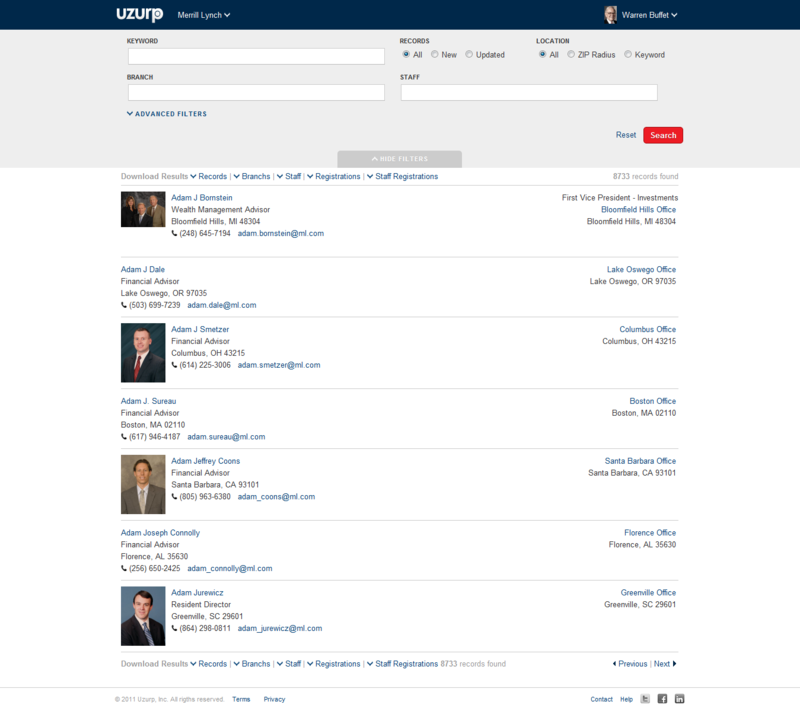 Uzurp.com, an online tool for researching Financial Advisors, Stockbrokers, and Registered Investment Advisors, has now introduced biographical background searching to their Financial Advisor databases. Now with searchable biographical data, our financial advisor database is even more powerful and more valuable. Uzurp.com announces that they have now introduced keyword searching to their Financial Advisor, Registered Investment Advisor and BD databases. The new keyword searching references biographical information which allows extreme targeting and provides helpful talking points. "Those looking for an RIA database or list of Financial Advisors will find all the information they need in ours," explains Christopher Joyce, CEO of Joyce Co., the business development company that started Uzurp (http://www.uzurp.com). "Now with searchable biographical data, our financial advisor database is even more powerful and more valuable. " The new keyword searching can provide much background information for touch points like interests, education, hobbies, family, and of course business concentration, titles, professional designations, and specialty areas. Uzurp.com has automated their website so anyone can try it to see if the data is a fit. Users are able to access the system with an email address and take automated step-by-step interactive walk-throughs that help them search and find information and contacts. "With our new automated system, all you need is an email address and you can try it 24/7," adds Joyce. In addition to the new keyword searching, the Registered Investment Advisor and Financial Advisor database can also be filtered by over 140 different specific criteria, such as amount of assets under management, city and zip radius, type of organization, type of compensation, advisory activities, and more. Users also gain access to information for contacting key officers, owners, and decision-makers directly including email addresses. Databases are designed to be user-friendly, allow mobile downloads, and provide unlimited “cloud” usage. There is also free technical support and a discount for multiple users. The Registered Investment Advisor database includes updated and in-depth information on more than 38,000 RIA firms. The Financial Advisor database includes over 110,000 Stock Brokers and Registered Reps. 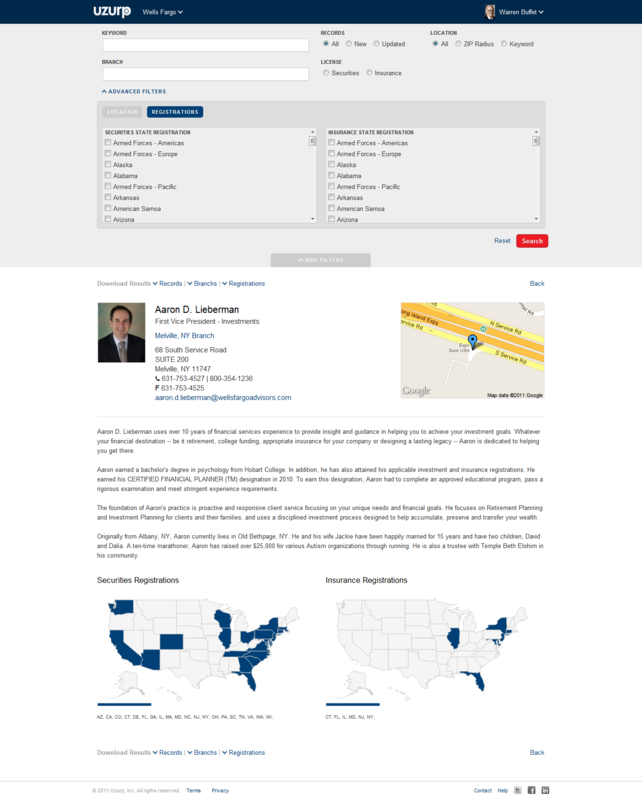 The Broker Dealer database features detailed information about more than 4,5000 Broker Dealers across the country. Databases are accessible for only $999 per year making it a more affordable way for businesses to provide their team with access to this valuable information. Uzurp Inc., based in Wilmington, Del., is a company that specializes in providing easy and affordable access to the Registered Investment Advisor database, the Financial Advisor database, as well as to the Broker Dealer database. 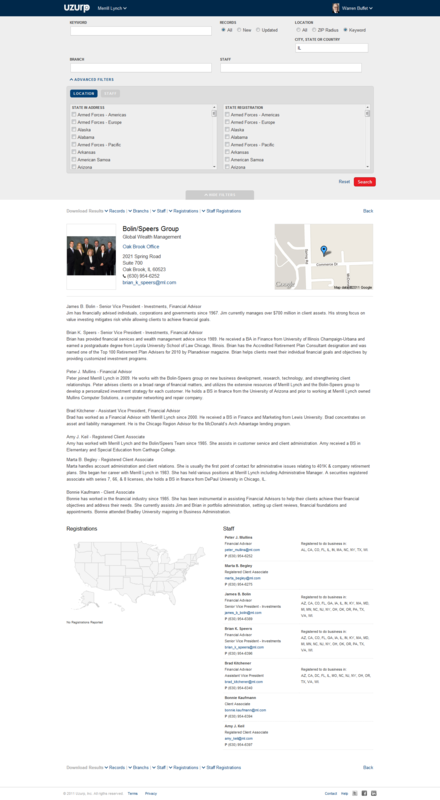 Their RIA database includes more than 38,000 RIA Firms and 100,000 contacts. The Financial Advisor database has detailed information on more than 110,00 Stock Brokers. The Broker Dealer database has over 4,500 Broker Dealer firms. All can be accessed for a fraction of what their competitors typically charge. Uzurp Inc. is a Joyce Co company. 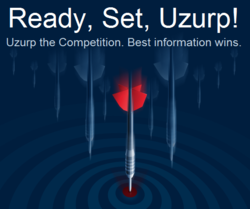 To learn more about Uzurp, visit the website at http://www.uzurp.com.